Deputy Minister of Economic Development, Susantha Punchinilame, was acquitted and exonerated of all charges in connection with the murder of parliamentarian Nalanda Ellawala, by the Ratnapura High Court Judge, Achala Vengappuli, yesterday. Seven suspects were charged with the murder of parliamentarian Nalanda Ellawala and Police Constable, T. Jayasena, as well as causing grievous injuries to some others in a shooting incident in the Kuruwita Town on 11 February 1997. 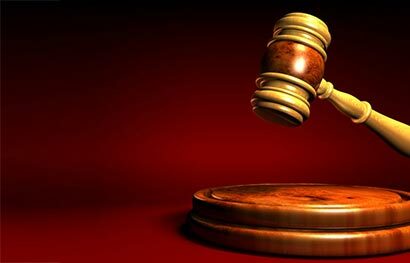 While the trial was on, former MP of the Ratnapura District, Mahinda Ratnatileka, and two others who were accused, had died. Earlier, at the request of the defence, the 2nd, 3rd and 4th accused had been discharged on the grounds that there was no evidence against them. It was the plea of the defence that, as there was no strong evidence produced against the first accused, Susantha Punchinilame, he should be acquitted and exonerated of all charges, according to the discretion of the Judge under Section 200 of the Criminal Procedure Code without summoning witnesses to the defence. Following the arguments put forth by the prosecution and the defence on the previous occasion, the date to deliver the verdict was fixed for 18 December (yesterday). The first accused, Susantha Punchinilame, was accordingly acquitted and exonerated of all charges by the Court exercising its discretion, based on Section 200 of the Criminal Procedure Code. Senior Attorney-at-Law U.R. de Silva, supported by Attorneys-at-Law Chamani Sri Wijeratne, Nadhee Sarathchandra and Saumya Muthukuda, appeared on behalf of the accused. Senior Attorney-at-Law Chethiya Gunaratne and Attorney-at-Law Sanjeewa Dissanayake appeared on behalf of the prosecution.